Adapted from Emma Donoghue’s best-selling 2010 novel of the same name, the heart-wrenching Room centers on a young woman named Joy (Brie Larson) and her five-year-old son Jack (Jacob Tremblay) as they are held captive by a sadistic loner inside a tiny garden shed, and then follows their reintegration into society after a daring escape. Joy was kidnapped by the aforementioned psychopath, known as Old Nick (Sean Bridgers), seven years earlier when she was only 17, and her son is the byproduct of his recurring sexual assaults. Old Nick gives the mother and son enough supplies for them to survive in their prison, which has been soundproofed and outfitted with a security-coded steel door. Old Nick’s nightly visits to Room come with the promise of more physical and mental abuse, and Joy attempts to cling to her sanity and will to live while caring for her extraordinarily sheltered young son. Their daily attempts to scream for help at the ventilation duct and lone skylight window are to no avail, and Joy knows that the outside world has presumed her dead for many years. In desperation, she devises a last-ditch plan involving Jack tricking Old Nick into taking him out of Room so he can escape to find help. Jack, experiencing the outside world for the first time in his young life, is able to alert a passerby of his distress, and despite his extreme maladjustment, he leads the authorities to Room and frees his mother. After their long years of traumatic suffering, the mother and son are forced to battle their own inner demons as they adapt to life outside Room. Joy and Jack’s time in captivity, which lasts a little less than half of the film’s runtime, is so nuanced and engrossing that we barely even consider what their life will be like outside. Director Lenny Abrahamson paces the first half of the movie so that we can feel the routine of their endless days in this prison — through their meals, reading, and television time, as well as Jack’s nightly retreat inside the dresser (a measure Joy has taken to shield her son from the dreaded nocturnal appearances of Old Nick), we get a glimpse at their claustrophobic reality. 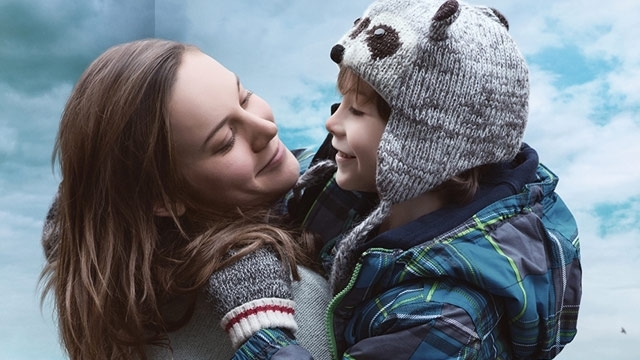 The beauty of Room, and what sets it far apart from a potential Lifetime Channel movie, is that life on the outside poses just as many (albeit vastly different) challenges for Joy and Jack. Joy struggles to reconnect to a family who buried her years ago, a family about whom she told fairy tales to Jack inside of Room. Her parents (played by a touching Joan Allen and a terse William H. Macy) have since divorced and found new partners. The home that Joy remembered as being filled with love is now filled with tension. At the same time, Jack’s entire life had been contained within Room, and he is understandably socially repressed in the initial months following their escape. And after sharing a small space for the last five years, any momentary separation is devastating for the co-dependent duo at first. Larson delivers an emotionally shattering performance. The 26-year-old actress breathes incredible life into Joy, and she is matched by the equally stunning Tremblay. As Jack explores the outside world, he is able to portray a delicate balance of childlike wonder and complete terror. In addition, Larson and Tremblay’s bond and nonverbal cues feel wholly authentic as a mother-and-son pair. Room is absolutely difficult viewing. Your anguish and empathy for the characters aren’t extinguished when they escape captivity, and those feelings stick with you even long after it ends. But the movie still offers glimmers of hope, mostly found in the strength of will of its protagonists and the heartbreaking lengths that Joy will go to to protect her only reason for living: Jack. Despite the unthinkable hardships its plot depicts, Room remains a challenging and triumphant look at the pangs of parenthood.